You have not recovered from a Hamstring injury until you can complete this exercise! Ensure that you have no pain with a Hamstring Flick and Catch before commencing your running program. 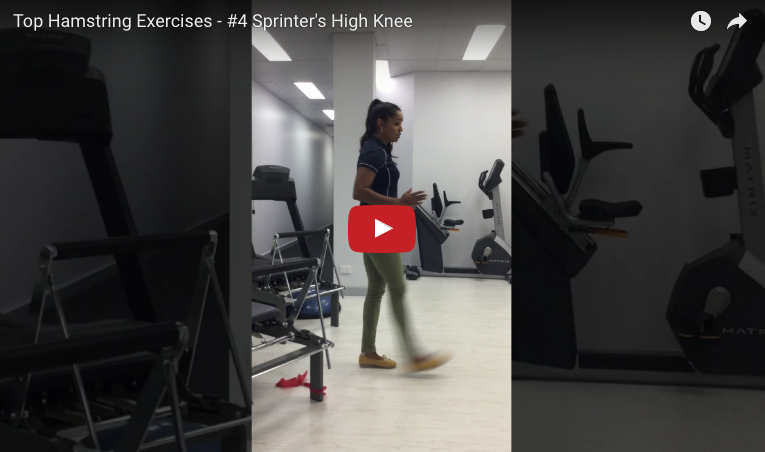 Use the Sprinter’s High Knee to strength and prepare for your running, begin the exercise without resistance and increase your speed. Once you are able to complete this at speed add resistance. If your Hamstring is holding you back there is so much you can do with the correct rehab – make a booking online at www.arnhemphysio.com!